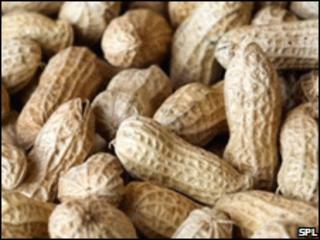 Researchers are working on peanuts that are low allergy, which could put an end to the problems the popular seed can cause. Through mixing varieties, the US team has managed to remove or reduce key proteins thought to spark the allergy. They stress the resulting peanuts are not genetically modified but the product of conventional cross-breeding. Peanut allergies are relatively common and usually cause breathing problems. But at their most serious, they can lead to a potentially life-threatening anaphylactic shock. The peanuts, developed with funding from the US Department of Agriculture, are still at a fledgling stage, but if further experiments are successful they could be used widely to prevent the risks associated with production lines. The key issue will be whether the peanut missing these proteins will be able to produce naturally occurring seeds with the same reduced allergy potential. The findings were presented at a congress of the European Academy of Allergy and Clinical Immunology in London by Professor Soheila Maleki. In principle, children who consumed these low-allergy peanuts would be less likely to become allergic to all peanuts in the first place. "And people that are already allergic would need to have a much higher dose before they suffered a reaction," said Prof Maleki, who believes the peanuts could be available within two to five years. "In the case of accidental ingestion, there would be much less of a reaction." These peanuts could also be deployed in immunotherapy, in which patients who have an established allergy become "desensitised" by taking a low dose of peanuts over a period time. A trial in Cambridge last year managed to apparently cure a group of children in this way, and follow-up research is currently being carried out.